Power outages and heatwave conditions cause unhealthy pool water. 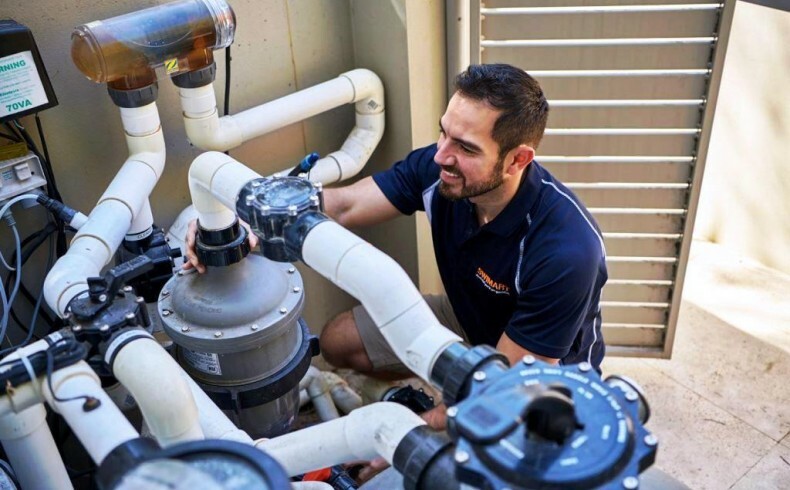 Swimart warns that Australia’s heatwave conditions and power outages can adversely affect the quality of pool water; and that during such conditions it is prudent to check the health of your pool. Prolonged periods of hot weather cause evaporation leading to water imbalance and chemical loss, which can cause algal blooms and lead to “unhealthy” water. 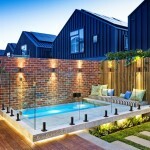 The situation is further exacerbated by power outages, which affected thousands of South Australian and Victorian households in January 2019, where pools’ recirculation and purification systems shut down. This quickly leads to unsafe swimming conditions such as cloudy water, inadequate sanitiser levels and high levels of bacteria and other disease-causing organisms. Once power is restored check to see if recirculation and purification systems are functioning. Operate the pump and chlorinator for at least one hour. Ensure proper pH and sanitiser residual. Check the sanitiser level as soon as possible. Reset the timers for pumps, lights and other auxiliary equipment. Check your pool’s chlorine and pH level every two days, especially after a period of heavy usage; and after a particularly hot spell or period of solid rain. Operate the filtration system 6-8 hours a day. 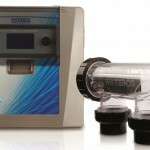 Check Total Alkalinity [TA] weekly with a Swimart test kit or by taking a sample to your local Swimart store. Clean out your skimmer basket and hair and lint pot in your filtration pump weekly. Maintain the water level at least half way up the skimmer box opening. 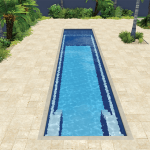 Regularly brush or vacuum pool walls and floor. 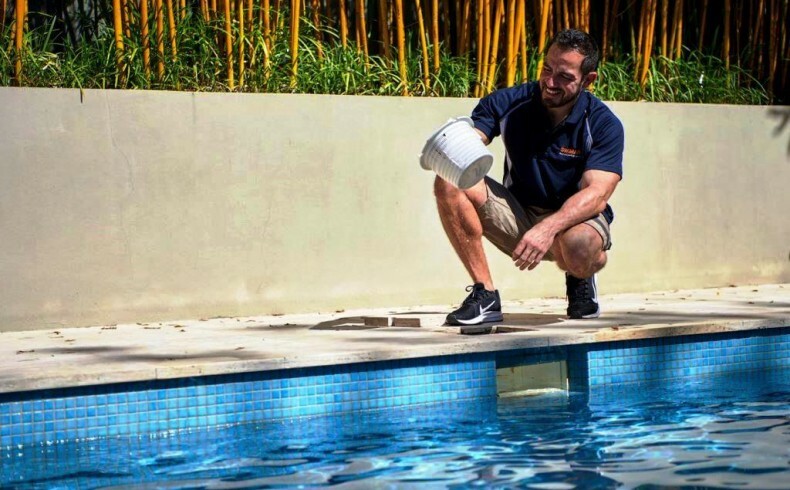 To re-balance pool water, take a sample from elbow depth, away from the pool returns and take it to your local Swimart pool store to be professionally tested. Use a quality algaecide like Aqua-Health Concide to keep algae at bay. 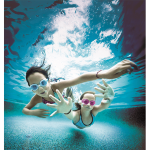 Water balance is the key to a healthy pool and for chlorine to work effectively. If the pH is too high, chlorine becomes less effective and the water quickly becomes dull and cloudy. This can be addressed by adding acid to the pool water. However if the pH is too low, the water will start to hurt your eyes and skin and make you feel itchy. 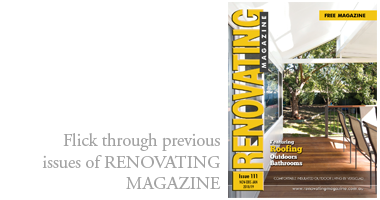 It can also etch away the surface of the pool and cause scaling on the exterior of your pool and salt chlorinator. However, this can be fixed by adding “buffer’ or alkali.